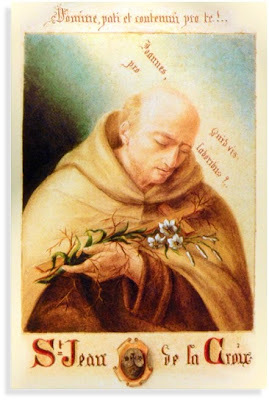 This is the feast of St John of the Cross in the traditional Roman Rite. The Pauline Rite honours him later in December. O God! who hast made Saint John, Thy confessor and our father, an ardent lover of perfect self-denial, and of the Cross, grant that, by following ever in his footsteps, we may reach eternal glory. Through Christ our Lord. Amen.